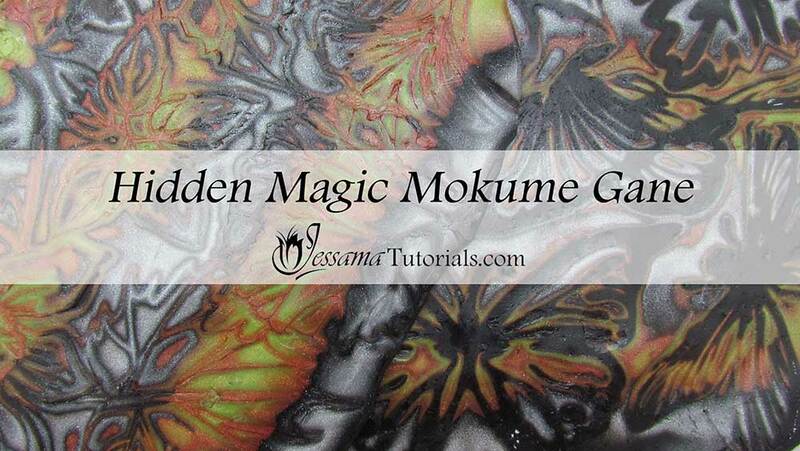 Hidden magic Mokume Gane is a beautiful twist on the traditional technique. In this tutorial, I'll be showing the version using Skinner Blend Bulls Eye Canes. Hidden Magic isn't restricted to this variation though. 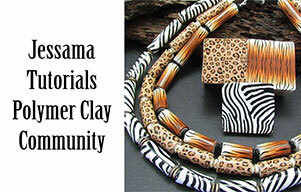 Play around with it for a while and you'll find that there there are so many different twists you can add to this polymer clay technique. 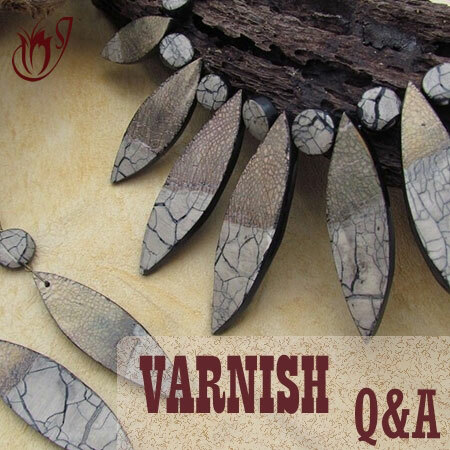 I'll be showing you some of these variations in later Mokume Gane tutorials, so do like my Facebook page to stay up to date with new releases. In the meantime, experiment yourself and see what you can come up with. Let me know in the comments below, or send in your pictures. We would love to see them. This Mokume Gane technique incorporates Skinner Blend Bulls Eye Canes. If you haven't made one of these before, you'll need to watch the tutorials linked in the box after the video before you watch this one. To start, you’ll need two Skinner Blend Bulls Eye Canes. I’m using a Premo bronze to bright green skinner blend bulls eye cane and a Premo pearl white to black skinner blend bulls eye cane. You can use whatever colors you prefer. If you don't know how to make a Skinner Blend Bulls Eye Cane please see the tutorial. Reduce these two canes until you can cut eight equal pieces from each cane. Now you need to make a sort of checker board cane. Alternate between the two canes as you lay four pieces next to each other so that it’s black, bronze, black, bronze. Do the same on top of those four, but this time swap the colors around so that it’s the bronze cane on top of the black instead of black on top of black. Do this until you have a four by four cane. 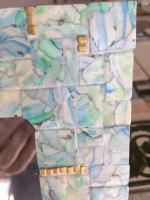 Now you have a square polymer clay cane. Turn your cane so that you are looking at the bronze and black stripes, not the bullseye rounds. You need to squish this cane down so that it’s flat. You have two options. Either flatten it as it is, or turn the cane onto one of its edges so that it is sitting more like a diamond. I chose the second option. Flatten the cane evenly in your fingers until it's fairly squished, then give it a good roll with your acrylic roller. When your hidden magic cane is thin enough you can give it a final roll though the thickest setting of your pasta machine. 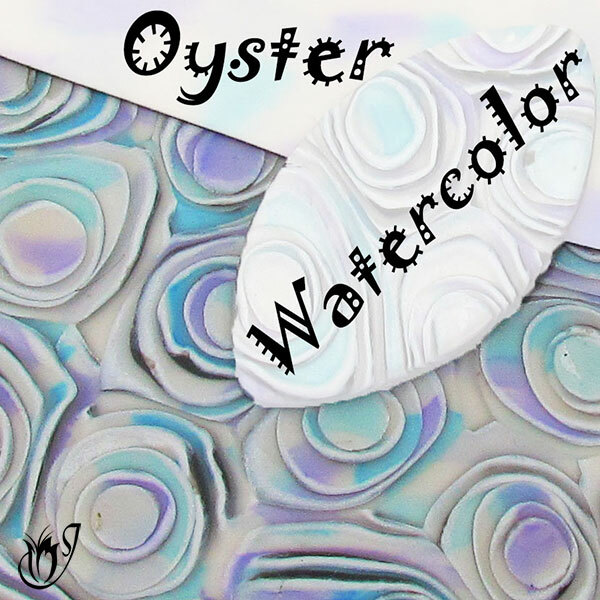 Once you have a flat polymer clay sheet, cut it into two. Put one half aside for now. Roll a sheet of black polymer clay through your pasta machine down to the thinnest setting. If you are struggling with getting your polymer clay thin enough, see my tutorial: How to Prevent Pasta Machine Ripples for help. Drape the sheet of black clay over the top of the cane sheet. Smooth the black down onto the sheet to get rid of air bubbles. Take your chosen stamp and lay it face up on your work surface. Spray it with water. 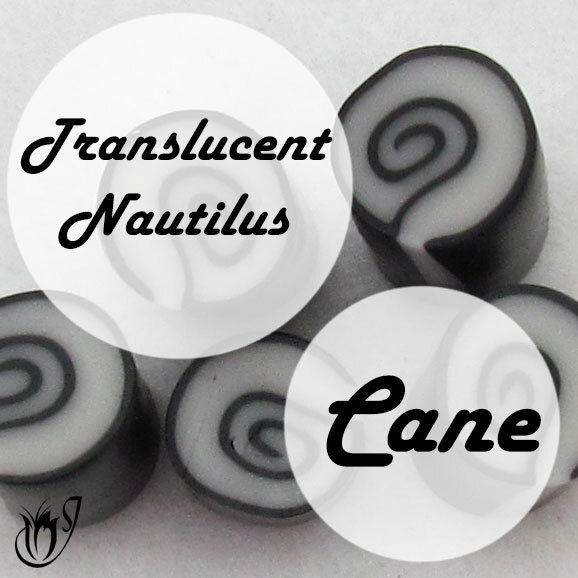 Place your Hidden Magic Cane sheet black side down on top of your polymer clay stamp. Spray water over the sheet and press it into the stamp using your fingertips. Work from one side of the stamp to the other to expel any air bubbles. Gently lift the clay out of the stamp once you’ve got a nice imprint. Wipe away any remaining water. Shave off the raised areas of the sheet. Be careful not to gouge your clay. You only want to shave away the raised areas. Go any deeper and you’ll mess up the Hidden Magic Mokume Gane pattern. 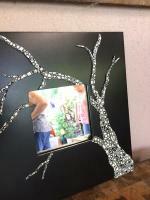 Once all the raised areas have been sliced off, flatten the sheet with your acrylic roller. 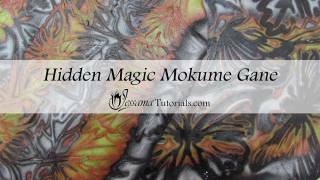 Don’t overdo it though, as you don’t want to distort your Hidden Magic Mokume Gane. Make a second Hidden Magic effect using the second sheet that you set aside earlier, but this time, leave out the sheet of black clay. Press the sheet into the stamp just as it is. And that's the Hidden Magic Mokume Gane technique. Simple, but beautiful. 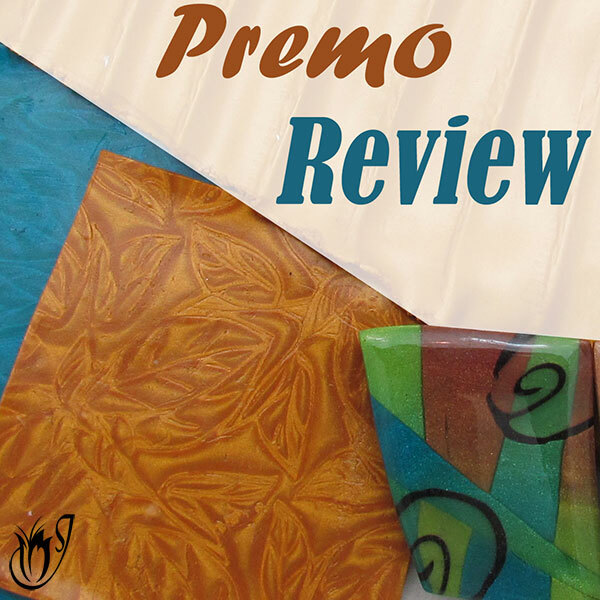 You’ll notice that both Mokume Gane sheets went through basically the same process, but one had a small step added to it. It makes the two look completely different and that’s the beauty of this polymer clay technique. Play around with it and have fun. You never know what you might come up with. I show more variations of this Mokume Gane technique in the video below.